everyone has probably some working understanding of the reference to a mother bear as a way to depict the passion of parents’ protective instinct toward their children. it is an apt metaphor after all for many of us. ready to defend our young against bullies, protect them against dangers, and support them as they grow into the persons they will eventually be. for parents of kids who are neuro-diverse, differently-abled, transgender and so on, the opportunity to rise to the occasion of keeping our children safe in our often biased and judgemental society will present on a fairly regular basis. after all, despite the changes for the better that each incremental rung of our stairway to heaven has brought, many folk are slow to become enlightened about things that are outside the realm of their own experience or opinions. so we have to advocate for our neuro-diverse children by insisting that schools follow the i.e.p established to guarantee a child’s best possible outcome in school, we have to make sure that the environment they encounter while in the care of teachers, daycare providers and others will be safe for our children and responsive to their needs: that a differently abled child has ramps for their wheelchairs, alternatives to activities from which they must be excluded, that our transgender children feel comfortable in being themselves, are allowed to use the bathrooms pertaining to their affirmed gender. are called by the correct pronouns. when it comes to getting our transgender kids the appropriate medical care and treatment, as proscribed and set forth in protocols and standards of care established by specialists in the field, we often find ourselves in the deep end of the pool. insuarance companies try to side-step responsibility as do governmental programmes that are supposed to intervene for those who can’t be insured. rights to coverage varies from state to state, and as if this weren’t frustrating enough we must often deal with the attitudes of medical providers and others involved in the process. since mid-august, upon our return from the ucsf appointment at the children’s and adolescent gender clinic, we have been trying to get the bone density scan that the endocrinologist and head of that program ordered for ziona. it is a necessary part of the protocol as puberty blockers are understood to lessen bone density. so in order to be safe in going forward, a baseline for zee’s bone density is needed. the nurse who co-ordinates such things at the pediatrician’s office back here in florida worked at trying to find a code whereby medicaid would cover the scan for weeks, even calling back to the endocrinologist for help in finding a diagnosis that medicaid would recognise and thus pony up for the scan. but by monday, the day before the appointment to have it done, there had been no headway made. i had been in contact with cms, a programme here in florida which covers things for children that medicaid doesn’t or wont, only to be told that governor scott had frozen their funds so that only oxygen tanks or inhalers for kids who will die without them were being approved at this time. the cms worker suggested i call medicaid’s local office directly, but i knew that the nurse at the pediatrician’s office had already been trying to work with medicaid to get the procedure covered, with no result. 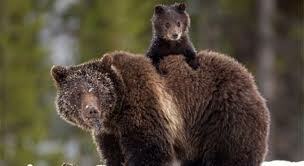 so i got my claws out, ready to make like the mother bear. i dialed the number, and after being connected to the person who was in the position to help with the matter, began to say what was happening. that the pediatrician’s office was being told by medicaid that there existed no auspices under which a bone density scan for a child as young as zeeona, could be approved, when no underlying condition is presented to show need. the women from medicaid listened, then said that the doctor ordering the scan must provide a diagnosis with a correlating code or there was nothing that could be done. 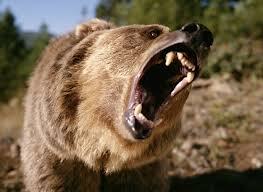 i flexed my claws, began to unleash the mother bear warning growl. my daughter is transgender, i told her. the protocol and proscribe treatment for this medical condition, as recognised by boston’s children’s hospital gender clinic and dr. spack, who advises the ucsf programme into which zee has been registered, includes a bone density scan in order to ensure that the effect of the gnrh (puberty blockers) which would soon be prescribed, aren’t impacting the child’s bone density too much. therefore a baseline density needed to be establish. i went on to explain that both federal and state laws protect lgbt people’s rights including the right to necessary therapies and treatments recognised as appropriate to their medical diagnosis. i intimated that perhaps the florida medicaid would have to play “catch up” if they dont have assurances in place that will cover my transgender daughter’s medical needs, simply because those needs pertain to her being transgender. what happened next both surprised and delighted me. instead of the woman continuing to tell me there was nothing she could do, she told me that she knew exactly which code to use in this instance and told me to have the billing department call her and request them. by later that same day, just a half an hour before the scheduled time for the procedure, i received word that all had been settled, the procedure would indeed be covered by medicaid. from the time i first realised that ziona may need me to fight at some point for her rights to the proper treatment i have been busy getting our ducks in a row; a lawyer through the National center for lesbian rights, doctors, specialists and others who might support us with their knowledge, standing and expertise should arguements need to be made on her behalf, and my own readiness to rise to battle, involve legal action and media if it became necessary. i told my mom just the day before, “well, this might be the place where i must begin to fight”. she smiled and said she knew i’d be fierce. instead i get to retract my claws, stand down and count my blessings that so far, a battle hasn’t been necessary. Categories: life, queers, transgender child | Tags: advocating, medicaid, supportive parenting, transgender child, transgender rights | Permalink. CSA Does Not Make You Gay (or Trans)! CSA Does Not Make You Gay (or Trans)!. Categories: current events, life, queers, transgender child | Tags: abuse, childhood sexual abuse, physical abuse, queer, transgender | Permalink. mom lost custody of her transgender child…why? it’s every mother’s nightmare, right? you love and guide your child, do your best to teach them, support them and protect them from danger or harm. but what if supporting your child, believing them and trying to do the right things to protect their needs and alleviate their suffering results in the courts taking custody of the child away from you? i exhort every reader i may have to seek out ways to help this woman. she’s going through a kind of hell that my mind wont even let me imagine! here’s her story…or part of it. Categories: current events, queers, transgender child | Tags: custody battle, injustice, kentucky, oppression, prejudice, supportive parenting, transgender child custody case | Permalink. lately in the news is a story about a brave judge, making the right decision. i refer to the massachusetts case of a transgender person, in prison for murder, and the decision the judge passed down declared that denying this person treatment for their condition constituted ‘cruel and unusual punishment’, thus making way for this prisoner to have a gender reassignment treatment and surgery. you can imagine that is going over like a led balloon with the ‘tax-payers’, especially those of a prejudging bent. but what if the treatment were a triple by-pass to correct a congenital heart defect? would the tax-paying public have a chance in hell of denying that person who will spend the rest of their life in prison the life-saving surgery and treatment they would require? now this person, who currently resides in a prison for men, is certainly not a poster child to elicit compassion, i guess. she killed her wife, after all. imagine the irony of being a woman in a man’s body in a men’s prison for killing a woman! but the judge made the right call. gender dysphoria is a real and treatable disorder. and from what the various reports have said, she had it bad! suicidal, self-harming and self-destructive behaviours. and who knows to what extent the circumstance of her psychological torment figured into her inability to restrain her actions with regard to the murder. the judge’s decision is the correct one, and a big step forward for transgender folk in our society. so it is no surprise that many uptight, right-wing nut jobs and people vying for political office are all weighing in on the ‘wrongness’ of it all. but imagine my surprise, when among the various news stories and blogs i found that made mention of this was one in which a blog cites the possible danger that advancing the rights and equalities of transgender women poses for the women’s rights movement. can you imagine? like, would white women feel threatened in the sixties that black women being able to register to vote would somehow lessen their own right to do so…lay waste the suffrage movement? what the bleep?!!! the blog was on wordpress somewhere, but i didn’t bother to take note of its url. reading the mission statement at the top of the page said all i needed to know. apparently women’s rights, in their estimation, do not extend to trans-women. the very notion that these transgender type women are recognised as women threatens the advances that ‘real’ women have fought for. and rights being extended to these ‘faux’ women apparently might actually make it necessary to include them in all women spaces, programmes and such. a horror story! my daughter is way more woman than these fraidy cats! she will have to fight for the right simply to be recognised as a woman, not just to be empowered as one! she will have to have surgery to correct the mistake her body has made and will need to take hormones for the rest of her life just to be who she is…a female. who the bleep do these women think they are, cis-gendered pretenders to the throne of all things female? they’ve never had to work at being the girls they are…it was simply their birth right…and like all other types of “entitled” folk, they are content to lord it over the likes of my daughter, to deny them access or entry into their exclusive club.! i don’t even consider these types women! since they have allowed their cis-gendered priveleged status to justify looking down their collective nose at transgender women. real women don’t deny other women their place in society! do these women think there’s not enough equality to go around? on the other hand, there have been some very thoughtful and forward thinking articles about the issue of this judge and the woman whose rights he protected. Categories: current events, dykes, life, queers | Tags: cis privelege, equality, prejudice, trans-women rights, transgender rights, woman hating women | Permalink. a very necessary article for those of us with trans-folk as friends or family members. helping cis-folk to realise their own priveleged status in relation to the oppressor/oppressed position of cis over trans persons can open minds. in turn, open minds can unlock the consideration and compassion so often withheld from people who differ from the dominant society’s hierarchical paradigm. Beating the cis-tem: A look at privilege based on gender identification – Iowa State Daily: News. Categories: current events, dykes, queers, transgender child | Tags: cis privelege, cis-ism, equality, transgender rights | Permalink. as parent to a transgender child seeing this assures me that the legitimacy of personhood for trans-folk is truly coming of age…maybe i don’t have so much to fear for my daughter’s future after all! Trans delegates representing us at the 2012 DNC. Categories: current events, life, queers, transgender child | Tags: personhood legitimacy, trans-rights-, transgender, transgender leaders | Permalink.